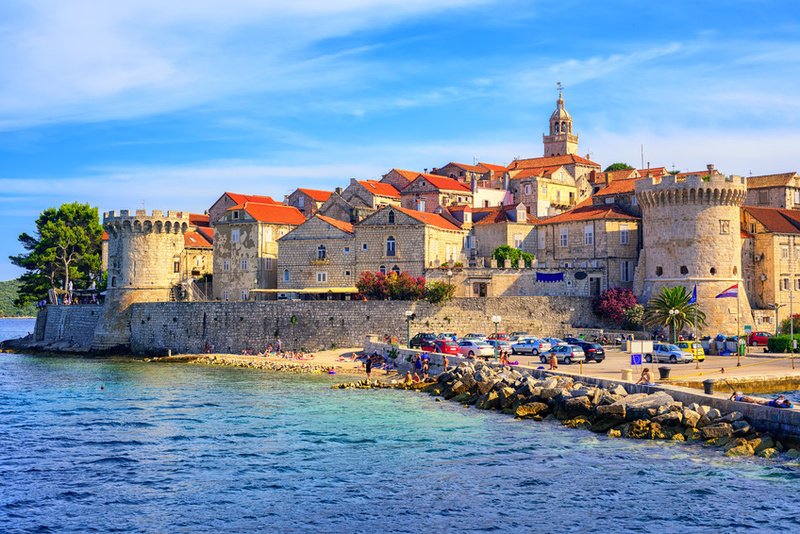 Another one of Croatia’s most popular islands, Korcula has a number of small towns and resorts, including Korcula Town on the east of the island, which – with an also wonderfully well-preserved though smaller Old Town – some consider to be a smaller version of Dubrovnik. Close to Korcula Town, also on the eastern side of the island, is the small village of Lumbarda, around 7km, which has a small cluster of sandy beaches. The other main resort is Vela Luka, on the western tip of the island. All provide a decent number of options if you’re looking for accommodation on Korcula. Korcula can be reached by catamaran from both Split and Dubrovnik, as well as from Orebic on the mainland. There’s also a daily bus from Dubrovnik to Korcula Town. For something a little different, you could also stay in a lighthouse on the small island of Plocica, just to the north of Korcula! Click on the different tabs to see hotels under each star rating. Hotel locations are show in brackets.